It's time to go back. SEGA has heard many fans and their wishes to return to the place where it all began, and the response comes with the unveiling of a new stand-alone multiplayer title - Company of Heroes 2: The Western Front Armies. Company of Heroes 2: The Western Front Armies brings players back to the Western Front first introduced in the original award-winning Company of Heroes. The Western Front Armies introduces two unique collections of new content - the US Forces and the German Oberkommando West. Each army has distinctive tactical gameplay options, new infantry, team weapons, vehicles, abilities and upgrades on a total of eight seasonal multiplayer maps set on the Western Front. The Western Front Armies also includes a new progression system that introduces other unique content into the game and enables players to dive deeper into the tactical and strategic aspects of the game than ever before. All Company of Heroes 2 players can then battle across 31 maps (along with more than 1000 community maps available on Steam Workshop) in auto-match multiplayer, regardless of what content they already own, even if they have just purchased the new Western Front Armies. (...) launching in June this year for $19.99. Each individual army will also be available as a standalone purchase for $12.99 via digital download, providing new players with a minimal entry point into the massive Company of Heroes 2 multiplayer community. Currently in alpha, word at the moment is that beta is to be reached in June, at which time it will be made available on Steam. Company of Heroes' Executive Producer Greg Wilson and Game Director Quinn Duffy grant interview at Strategy Informer to talk about the franchise and its future. 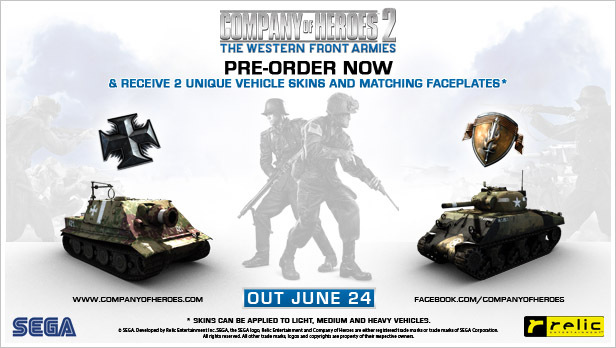 Update: an official release date of June 24th has now been announced for Company of Heroes 2: The Western Front Armies. Pre-purchase now possible on Steam. Polygon's Colin Campbell takes Company of Heroes 2: The Western Front Armies for a spin and talks to Relic's game director Quinn Duffy about what is being aimed at with it in this interview. Relic Entertainment's plans for Company of Heroes 2 are laid out before us through Eurogamer's Wesley Yin-Poole's writeup where some extra insight is again offered by director Quinn Duffy. 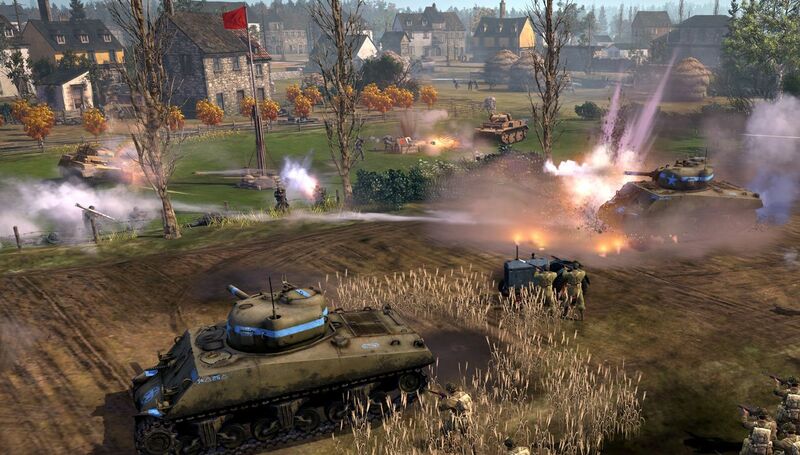 PC Gamer's Evan Lahti previews CoH2: The Western Front Armies. 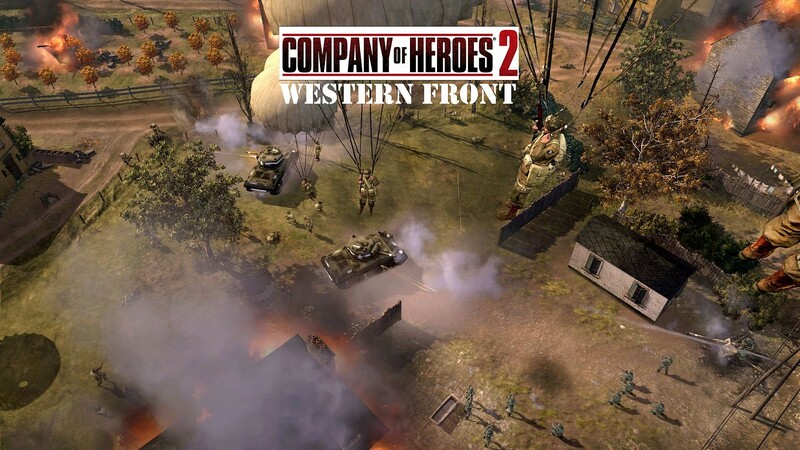 Company of Heroes 2 - The Western Front Armies is now available on Steam. 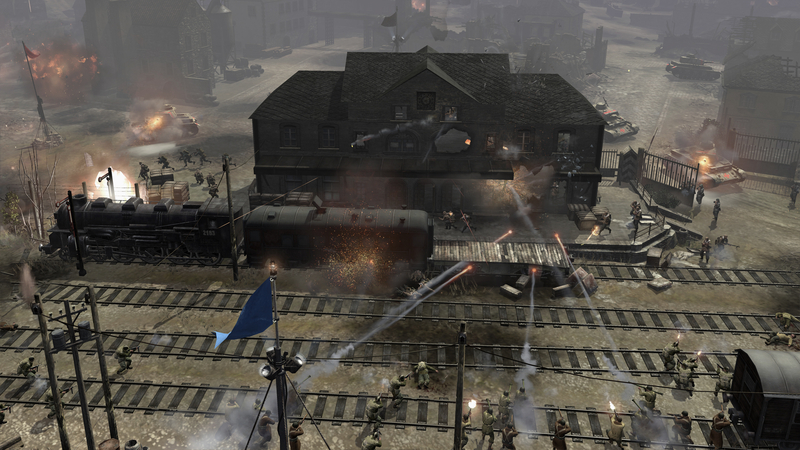 Strategy Informer's Nick Horth reviews Company of Heroes 2: The Western Front Armies. 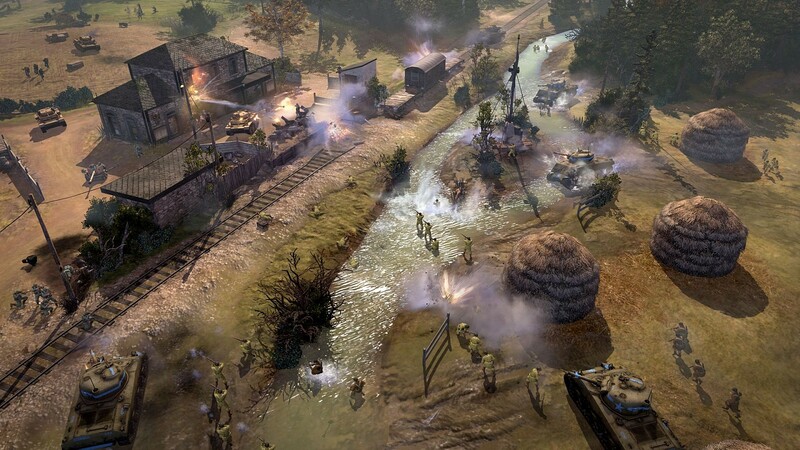 Eurogamer's Daniel Starkey reviews Company of Heroes 2: The Western Front Armies. 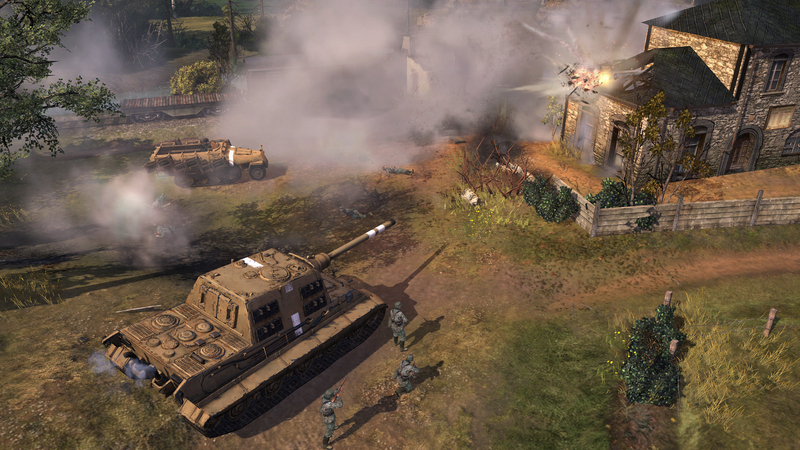 PC Gamer's Ian Birnbaum reviews Company of Heroes 2: The Western Front Armies. Six new commanders now available on Steam and 25% off until the 30th of July.